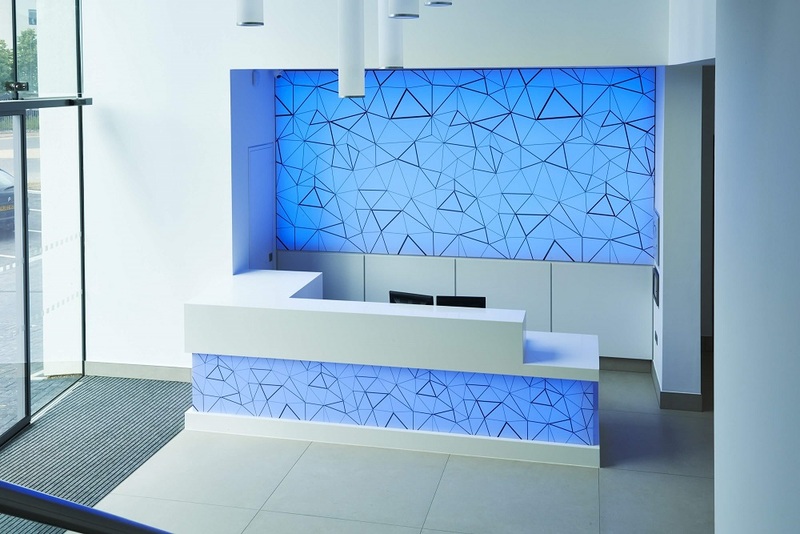 Working with John Paul Construction, we recently completed this corian reception desk featuring a colour changing desk and wall panel. Situated in a large office space in Maidenhead, the desk is 3.5 metres long and weighed about a tonne. 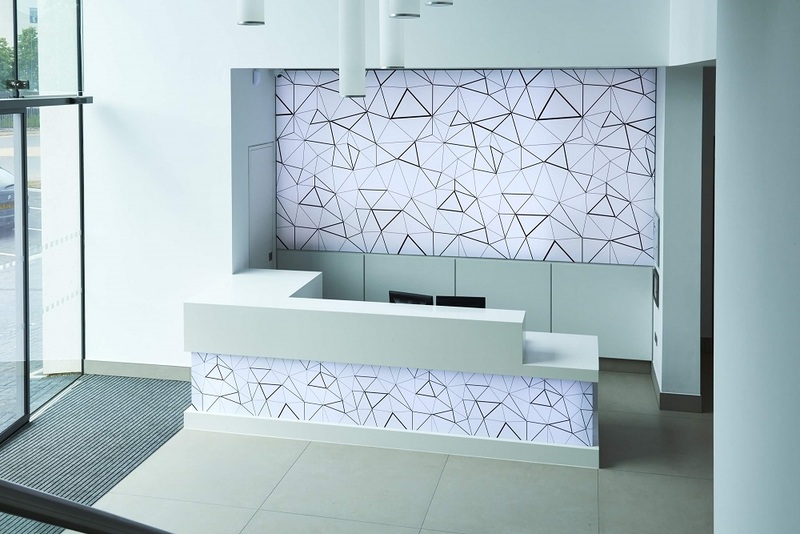 Corian is made from reconstituted stone and is extremely popular for receptions desks and kitchens. It is hard wearing, available in a large variety of colours and appears join free (following the jointing and polishing process).